Posted in Design and Leadership. 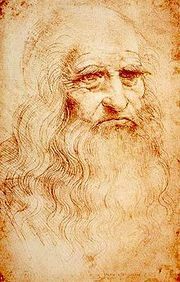 I once attended a class on innovation and the instructor led with this question: what was the difference between Leonardo da Vinci and Thomas Edison? Both are regarded as scientists, inventors, and brilliant minds. But where Leonardo left us his journals, drawings, and prototypes of new ideas, Edison left us practical inventions. You might say Leonardo was the creative, while Edison was the innovator. The classic story of Edison’s search for the right filament for the incandescent light bulb illustrates this nicely. 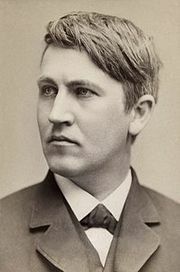 While others had created incandescent bulbs prior to Edison, he sought a better bulb and worked tirelessly to find the right combination of materials and factors to make a bulb that lasted more than a few hours. He (and his lab full of workers) tried thousands of combinations before settling on the long-lasting carbon filament he patented in 1880. Even after he found the one he eventually patented, he continued searching for better materials. Both Leonardo da Vinci and Thomas Edison are rightfully revered for their contributions. But the way they approached their work can teach us a lesson. Leonardo created new things out of nothing, while Edison methodically revised existing ideas. Leonardo’s genius may be unparalleled, or at least unattainable by most of us. But Edison’s dedication, his use of process, and his commitment are easily emulated. It just takes hard work.